The “world’s first” multi-functional next generation prayer calculator has been launched by an online Islamic travel platform. 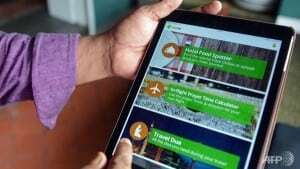 Halal Trip, an online travel website specializing in halal and family-friendly travel, has allowed its mobile app to give Muslim travelers a simple way to find prayer times and locations whether on air, land or sea. For travelers it will also work out whether a user can reach their hotel in time for prayers, according to a statement from the company. The new feature is an addition to the existing in-flight prayer calculator. “The Muslim traveler is now much more technology savvy than ever before. They are increasingly coming from a younger demographic and are now some of the early adopters of online innovations,” Fazal Bahardeen, CEO of HalalTrip and parent company CrescentRating said in a statement. The Halal tourism sector is estimated to be valued at $145 billion, according to figures in the MasterCard-CrescentRating Global Muslim Travel Index 2015. “The HalalTrip app now brings together a number of key essential travel resources for Muslims which includes Halal food discovery. The Halal food spotting feature allows users to ‘spot’ Halal food dishes and upload images, comment and share via social media to millions across the world,” the statement added.